A girl walks across a road. She’s wearing her Father’s Belt and her Mother’s blouse…she’s looking out into a field…and this pretty much sets the tone for the entire film. Stoker is very much a slow burner, but an intriguing and engaging film all the same. We follow India Stoker, an introverted soul, mourning the loss of her father, living with her mother in a large house. It’s not until her Uncle turns up, to throw the family into a subtle disarray, that we start to see their family life unfolding. Charles Stoker is besotted with India, taking a very keen interest in her in a way which constantly feels awkward and a little bit wrong, whilst forging a friendship with his Brother’s widow. But it’s India’s character arc which is the main focus, and what a journey she goes on. I cannot say too much about her character without giving too much away about where the film goes, you’ll just have to watch it for yourself. Director Chan-wook Park delivers a visual spectacle, with long sweeping camera shots, swift angle changes and a very typically clear colour palate to bring everything together. India is surrounded by blacks & whites and greys whilst her Mother is very much enveloped in a mustard and light orange glow, which fits in well with Nicole Kidman’s hair colour. The script is also well written, and Prison Break’s Wentworth Miller clearly knows his craft well, bringing a very slick text to these characters. Stoker is not a drift-in, drift-out movie, it’s a “watch and see what happens” type, driven by great cinematography and dialogue. Matthew Goode’s Charlie is sinister even when he’s being nice, and Mia Wasikowska’s downplayed part comes across well. Chan-wook Park brought us one of the greatest Korean films ever in “Oldboy” and he definitely delivers in this, his first ever English Spoken film. 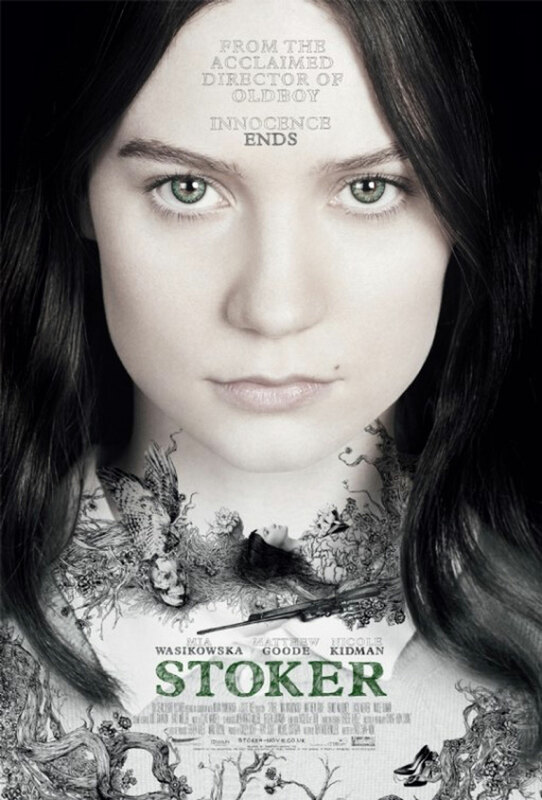 This entry was posted in 2013, 365, Movies and tagged 2013, Chan-wook Park, cinema, Film, icheckmovies, icheckmovies.com, Matthew Goode, Mia Wasikowska, Movie, Nicole Kidman, Stoker. Bookmark the permalink.